← Down the Yellow Brick Road…to PATH! When Was The Last Time Work Felt Like A Gift? 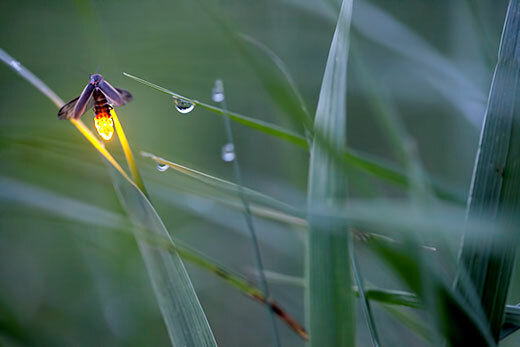 The humble firefly, so simple and yet so amazing. It’s been just over two weeks since I began my new job at PATH and I couldn’t be happier. As an organization we do incredible, meaningful work and every person I have met thus far has been kind and welcoming, not to mention incredibly talented, dedicated, and hard working. So it may not come as a surprise that I had a profoundly moving experience at work this week. But this rare moment was not because of the lives we strive to save, nor was it because I learned something new about one of the many technical or scientific innovations that we develop. Rather, this experience was so small and slight, that it might have been a firefly on a warm summer evening, flitting past, subtle enough to be invisible to the inattentive eye. It all started with a going-away party. A member of our HR team is leaving, relocating with her family to another state, and we had a small celebration to commemorate her time with PATH. At first blush, it was a sincere but modest affair- red velvet cake, bowls of popcorn, and her favorite movie playing on the overhead projector, while people talked and joked and asked about packing, moving, and her plans for her new home. Then, as the gathering was winding down- a colleague of ours, out of the blue said to the woman leaving, “Just a minute, I am going to sing you a song,” then she left the room briefly and retrieved her computer. Shyly, she said she wouldn’t do the original justice, but she was going to sing it anyway. She started the music on her computer and the sound wafted tinny and soft from the speakers, and after a few moments she began to sing this magical little song I had never heard before. The song, “A Life That’s Good” is from the show Nashville and it has all the makings of an enduring favorite- reminding the listener by turns of a lullaby like “You Are My Sunshine,” a ballad like “The Rose,” and gold standard of heartland country, “I Will Always Love You” (as sung by the inimitable Ms. Dolly Parton, of course!). The small group of us sat there in stunned, almost reverent silence as the gift of this song and its sentiment was shared. The room was dim because the shades had been pulled for the movie and in those few minutes we were transported somewhere far from a high-rise conference room in the heart of a bustling downtown. It was sublime. 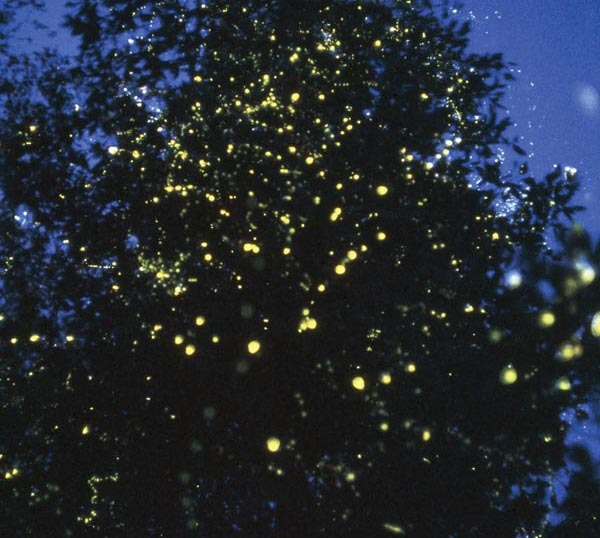 It felt like watching a thousand fireflies light up the night. It will come as no surprise to those that know me, that I was moved to tears by this simple and yet profound moment. When my colleague finished, there wasn’t a dry eye in the room and we all laughed self-consciously about our tears. One person pointed at me and said teasingly, “You don’t even know them and you are crying!” and maybe that’s the point. Here I am, a week into my new job at one of most prestigious and renowned non-profits in the world, which despite the work we do, is still “a job” and should behave like one, right? You can like your co-workers, just don’t like them too much- isn’t that what so many companies and experts tell us? So what were the conditions that made this moment of deep humanity possible? Is it because we are a non-profit? Is it because our staff (not just in HR but across the entire organization) is 70% women (totally awesome, btw)? Is it because my colleague has an incredible voice (for the record- she blows the version on the show out of the water)? If I had to offer an explanation, I’d say that those things may have played a part, but that above all- there is a sense of trust. It is a trust that allows people to be vulnerable, to be themselves, to share, and to experience the ups and down of not just the job, but of life. Leavings are hard, beginnings are exciting, the day in and day out can be both or neither. I walked out of that room and felt such a wonderful sense of peace. Now, think about that. Have you ever walked out of a meeting at your workplace and felt peace?! If you’d told me that I would experience that, I would have laughed out loud and yet there it was. I think many organizations would be well served to reflect upon how to create this degree of trust and camaraderie amongst their employees. And it can’t be faked or “rolled out” as part of an employee morale program. It comes from caring and being genuine – authentic, as a good friend of mine often says. Also, it probably wouldn’t hurt to hire talented singers. Thank goodness, I didn’t have to audition- I wouldn’t have stood a chance. PS- how much do I love a blog post where I can feature Dolly Parton, Bette Midler, June Carter & Johnny Cash?! A damn helluva lot! I do hope you’ll take a few moments to follow the links and listen to the songs.